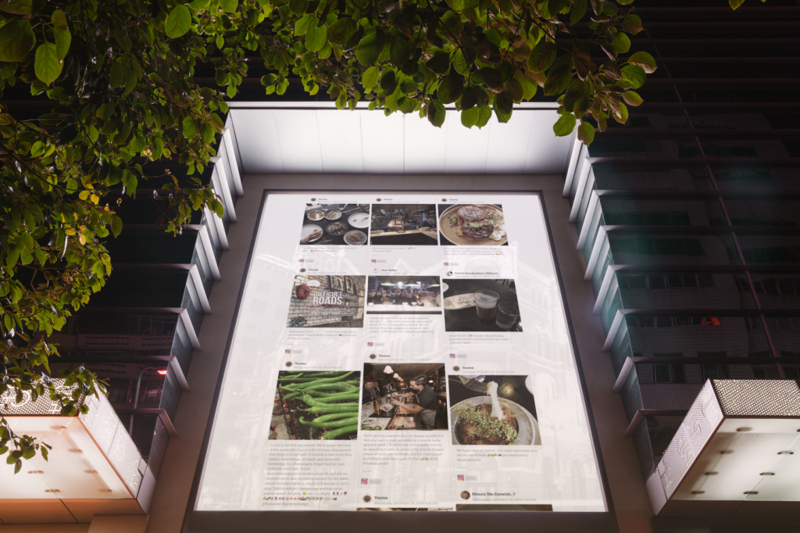 What is Social Media Display? In order to understand Social Media Display, you should have basic information about the term Social Media Aggregation. Basically, Social Media Aggregation is the aggregation of the social media data, which is spread over the internet. Think a bookshelf. It contains different books from different bookstores right? So Social Media Aggregation is the method of collecting books and gathering them together on a shelf by the genre for instance. It is the Gandalf of marketing business. It puts small pieces together and creates a powerful force even from Hobbits. Let’s dig more. Social media hub is, simply, where social media aggregation gathers brand generated and user generated content together. If you want to read more about the social media hubs check our Frequently Asked Questions (FAQs) about Social Media Hubs blog. Social Media Display is the visual output of the Social Media Aggregation process which displays posts from the social media hubs. We can simply say, Social Media Hubs feed Social Media Displays with posts. Besides, we could use these gathered posts for statistical purposes which we call this process Social Media Analytics. We launched a tool just for it. Social Grader is our hard-working tool to aggregate content from the most popular social media platforms and to analyse it. Since we will publish more blogs about it I won’t dive into the details even if I really want to. Let’s return to our main subject. 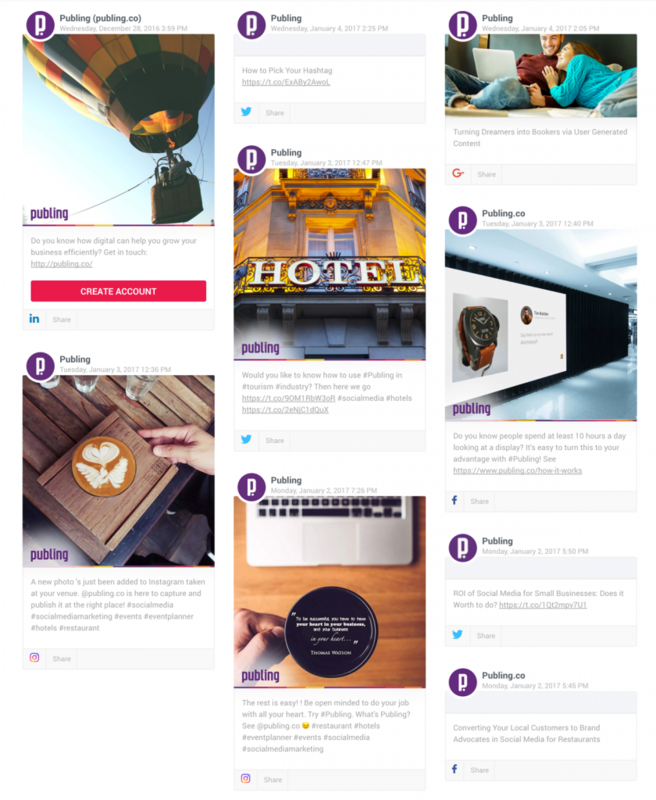 Social media display gives you the ability to display the aggregated and moderated content on different platforms. It displays the user generated and brand generated content together. I’ve mentioned that social media aggregation is a bookshelf which gathers different books from different bookstores. So with social media aggregation you gathered the Lord of the Rings books together so fans can reach it more easily and with social media display you can display these books on your website, a screen, a digital signage, an ads banner or even on a printed media and by doing so you can increase user engagement. Don’t forget; social media is useful only if you are able to engage with your customers. Otherwise, you might become the teenager who complains about everything on Facebook that nobody cares. You can use Publing API and build a tailor-made display so you can adjust the display to your marketing campaign. You can display the content chronologically from the latest to the first in a wall format, a slider format with couple contents together, a slideshow format by showing one content at once or even you can use geographical location to show the content. Since the aforementioned strategy needs development of a tailor-made display, it might not be suitable for all businesses. If this is the case you can use Publing Display to build your display in couple minutes. Publing Display could be used in order to display the content by using Publing’s designs which are Classic Wall, Keychain, Pin Board, PaperClip, Speech Bubble, Image Grid for wall format and also Slider and Slideshow. The way you will display the content is completely up to you and your marketing strategy. For instance, if you are willing to display all of the content at once you should prefer wall layout, you can also use only images to build a display. On the other hand on specific occasions like events you might want to gather attention only one post, therefore you should prefer single display. One of the most useful features of Publing Display is the possibility to customise the whole thing. You can customise the size of the font, the colour of the font, the position on the screen etc. So you can customise the display without any need of development and start to display in minutes. Now you know plenty about the social media display. But how will you use it for your business? I have something about this matter too. You can use Publing Display on many occasions; first of all, you can use it to communicate with your customers. Secondly, you can use the satisfied customers’ contents for crowd marketing to reach your target area. What else? You can use it to create brand generated content and display it together with the user generated content to increase engagement. Since you are aggregating the posts, it is more likely that your social media content will become more visible and reachable. I hope you enjoyed this blog entry. Let’s write a comment if you want further information. Stay safe and stay tuned.